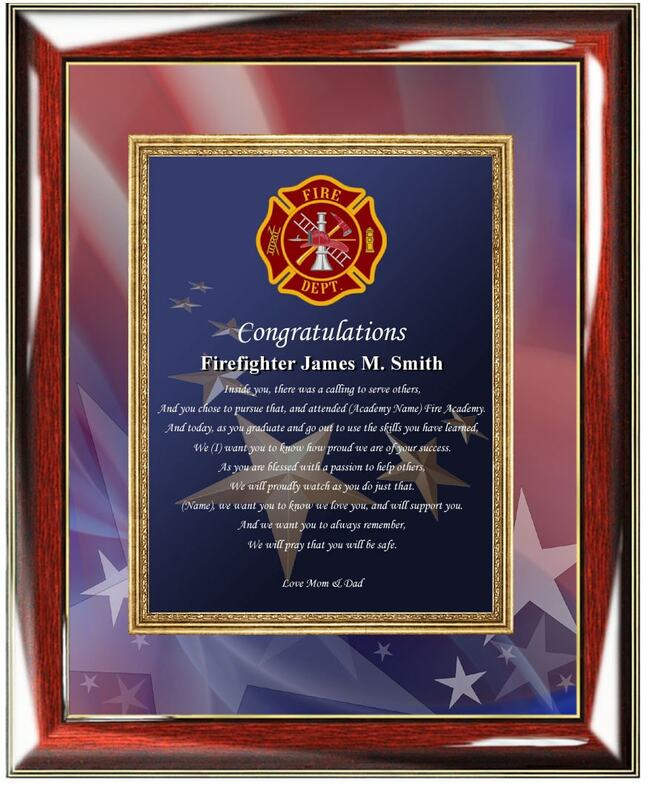 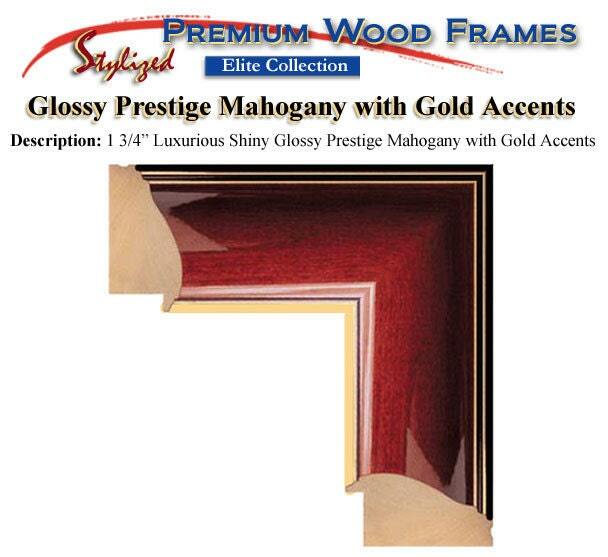 Product: FIR-PGC2 Personalized Graduation Firefighter Hero Poetry Gift Frame. 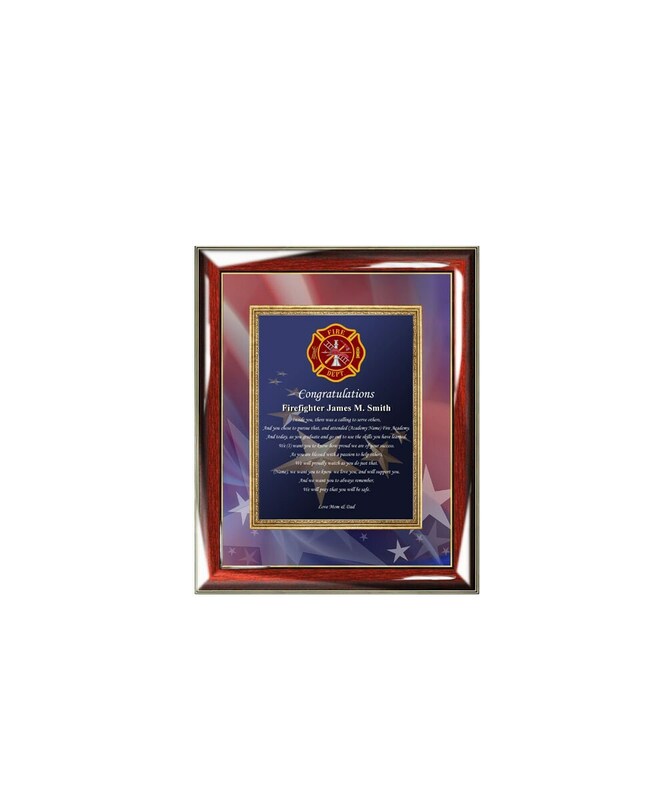 A unique gift idea for Valentines, Birthday, Christmas, Anniversary or any occasion for your fireman son, friend, husband or boyfriend. 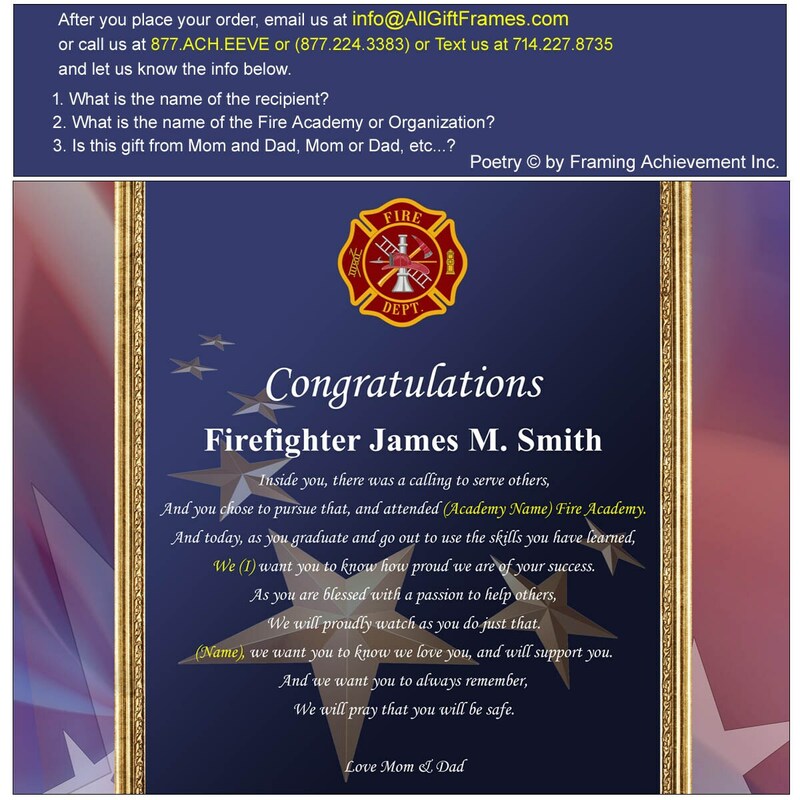 A graceful fireman poem gift to honor a love milestone moment.